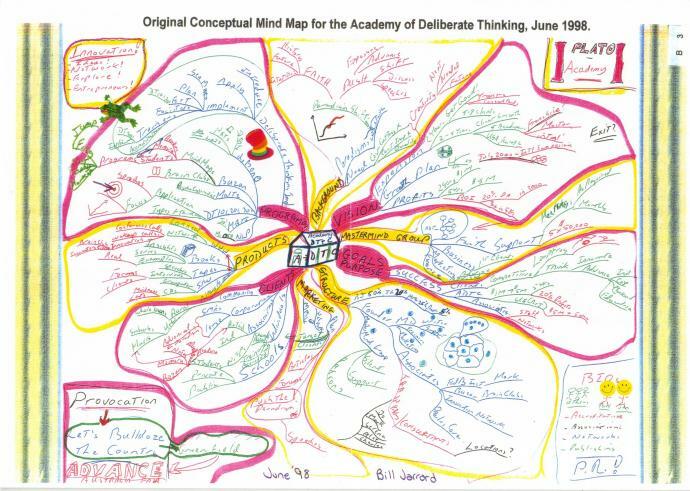 This is the Mindwerx Original Business Plan Mind Map done by Bill Jarrard. The working name for the company was The Academy of Deliberate Thinking & Creativity. This was because of my view that critical and creative thinking is vital at the so called ‘fuzzy front end’ of innovation. Design thinking is basically the same thing, and since June 1998 we have been focused on help individual, teams, and organisations to Think, Learn, and Innovate better.